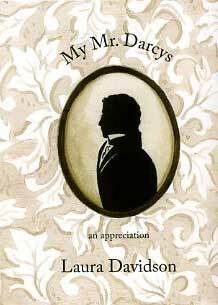 LD: My Mr. Darcys: An Appreciation (2009) is a tribute to the many actors who have played the role of Mr. Darcy in Pride & Prejudice adaptations. It includes portrait miniatures of six actors along with text from each film. 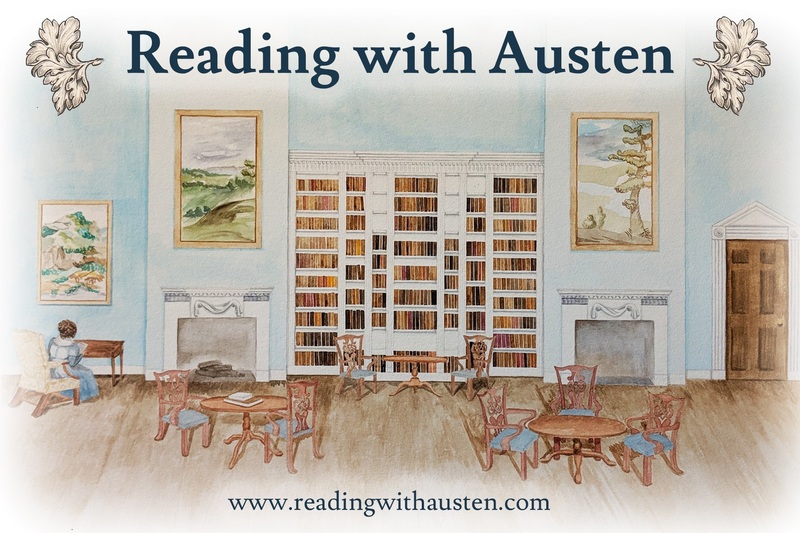 It is especially made for the true Austenite. 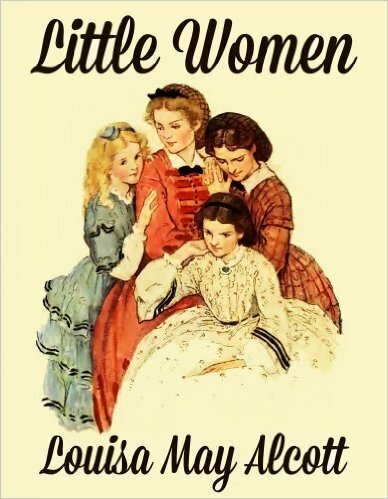 JAIV: Why did you feel compelled to do this book – you refer to your sister being an “Austenite” – are you as well? 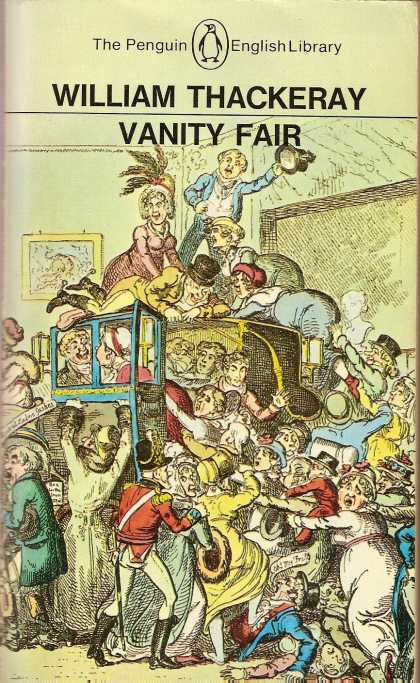 LD: At the time, my sister and I were talking quite often about the various adaptations of Pride and Prejudice and it occurred to me that there must be women everywhere having the same conversations and comparing Darcys. I’m a book artist, and much of my work is making visual lists, drawing everyday items, familiar yet very personal things. My work often reflects my passion for art history, maps and architecture. My Mr. Darcys was a bit out of the blue. I don’t really know how it came into my mind to do the book exactly, but once the seed was planted there was no turning back. 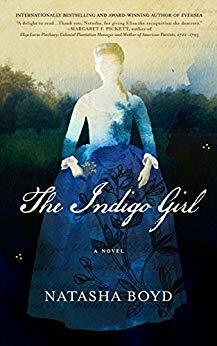 I like that a book a woman wrote 200 years ago still resonates today and inspires artists, writers, and filmmakers to keep the characters alive. So, I would say that yes, I am an Austenite. JAIV: Which of the novels do you like the best? LD: Persuasion. I adore Anne Elliot, because she always knew her own heart even though she was afraid to follow it. JAIV: Which adaptation do you like the best? LD: I love the 1995 BBC adaptation of Pride and Prejudice. I think it was perfectly cast. Of all the Austen adaptations I’ve seen though, the Persuasion from 1995 is my favorite. Watching it is like comfort food to me. 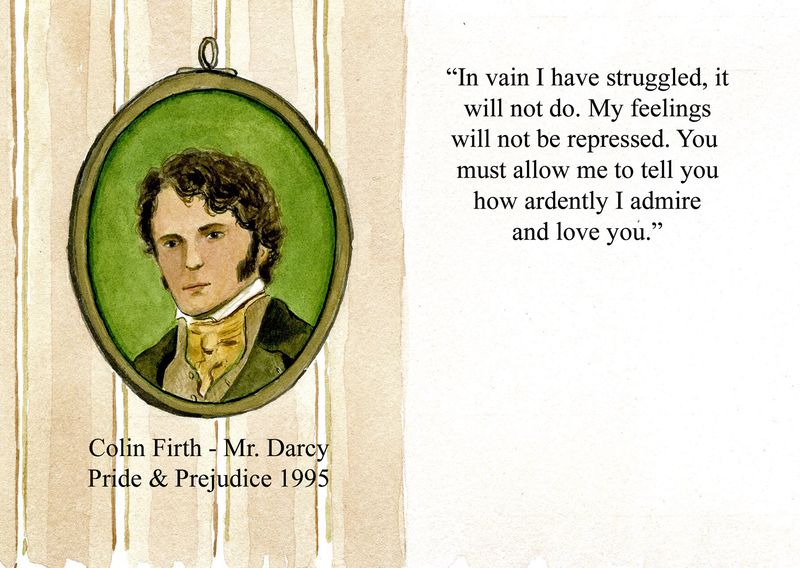 JAIV: And which Mr. Darcy is your favorite, and why? LD: Laurence Olivier was in the first “Hollywoodized” version which was terribly cast, except for him. He played Darcy’s imperiousness beautifully, but the compromised ending let him down. Colin Firth was absolutely perfect in the role, getting the arrogance right, but showing the vulnerability beneath. Plus, all the Darcys that came after were a direct result of his performance, and that of the rest of the cast. If he hadn’t had the charm and charisma to pull off the Darcy character, I doubt any of the other adaptations would have been made. So, Colin Firth, to me, is the definitive Mr. Darcy. And we can’t forget the lake scene…! So fellow Darcy fans, this is must have book – know that some of you like David Rintoul the best from the 1980 BBC production – he is, sorry to say not in this book – but everyone else is, each with an appropriate quote that sums up his character best… it is small, doesn’t take up much shelf space, but I think you will choose to display it in a prominent place somewhere as a centerpiece to your Austen collection. 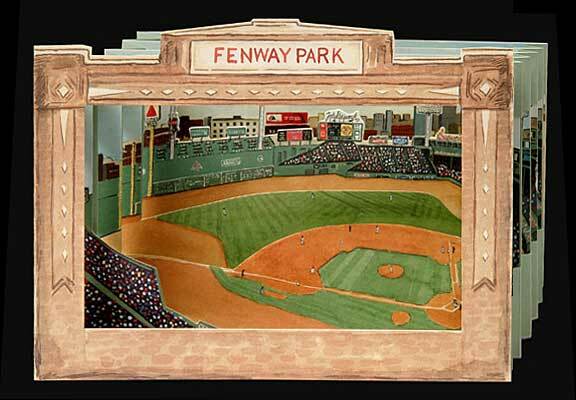 Fenway Park Tunnel Book: This tunnel book shows a view of Fenway Park and the skyline of Boston. The images were painted, then offset printed, laser cut and pieced together by hand. Each copy is signed. 2007, 2008; 2nd edition (with 2007 world championship flag); 6.5 x 8 and 3/16 inches, 6 two-sided pages; $38. 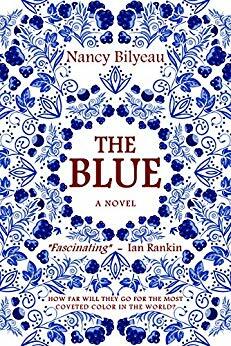 I bought another book but as it is a gift for a friend that I have not yet given it to, I must wait – but will say it has something to do with Birds! 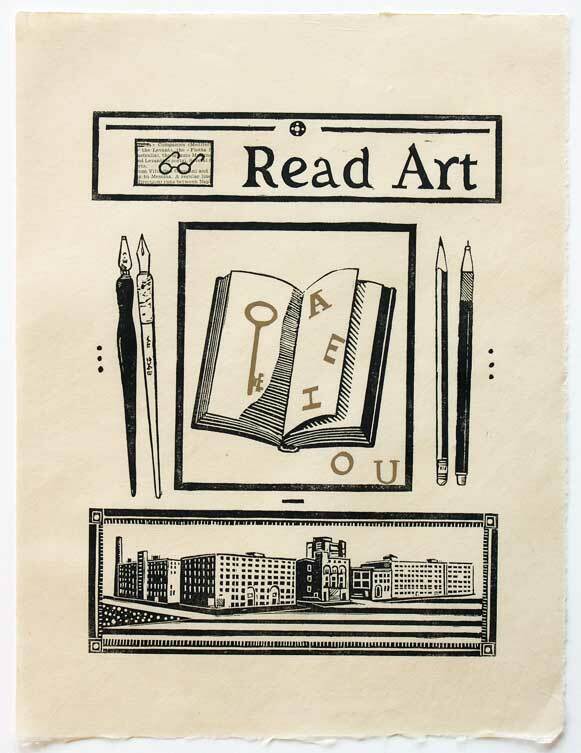 2012, 10 x 14” hand printed on Kitakata rice paper, two colors. 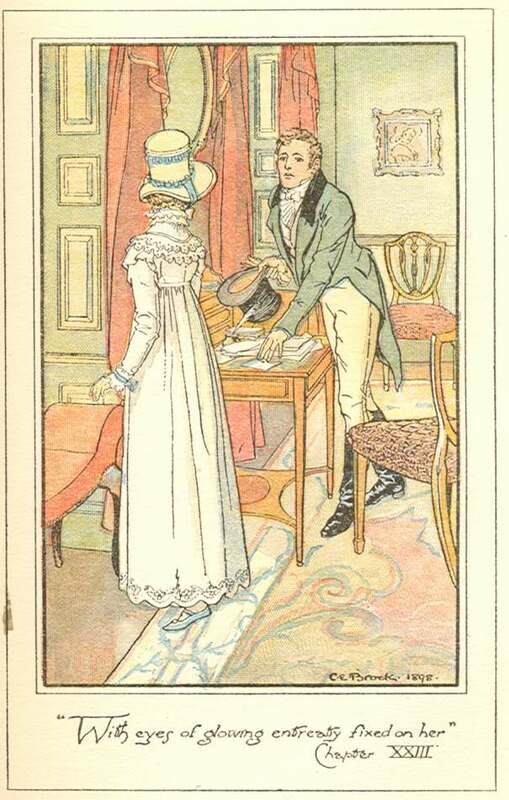 One small print on a book page is attached, printed in an edition of 12. Unframed $125.